From the creator of the hit ‘children’s book for adults’, Go the F**k to Sleep, comes an advertisement in support of Barack Obama in the upcoming US election. Author Adam Mansbach’s profane nursery rhyme reached number one on the Amazon.com charts before it was even released, in June 2011. 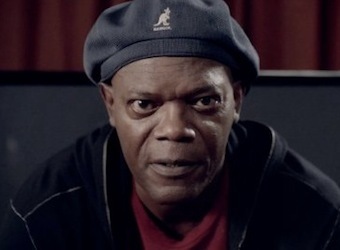 Now, he has flipped the title on its head in ‘Wake the F**k Up’, an advertisement for Obama’s re-election campaign, starring Samuel L Jackson and an American family who were active supporters of Obama’s campaign in 2008 but are too busy this time around to care. Jackson originally narrated the audiobook version of Go the F**k to Sleep, completing the parody.